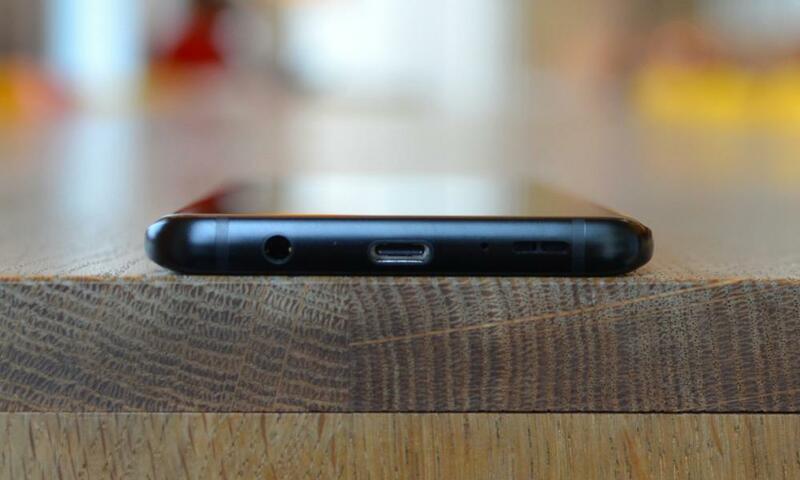 Last year’s Galaxy S8+ was slightly held back by a few annoying niggles, such as the awkward fingerprint sensor placement, all of which have been rectified in the Galaxy S9+. Alayeye iboju ati ki o tayọ kamẹra ti wa ni ifojusi ti yi oke-opin foonu, but battery life could be improved. Having ushered in a new super-slim bezel design at the beginning of 2017 with the S8, has Samsung’s new dual-aperture, dual camera enough to entice people to upgrade? It’s fair to say the Galaxy S9+ looks practically identical to its royi. 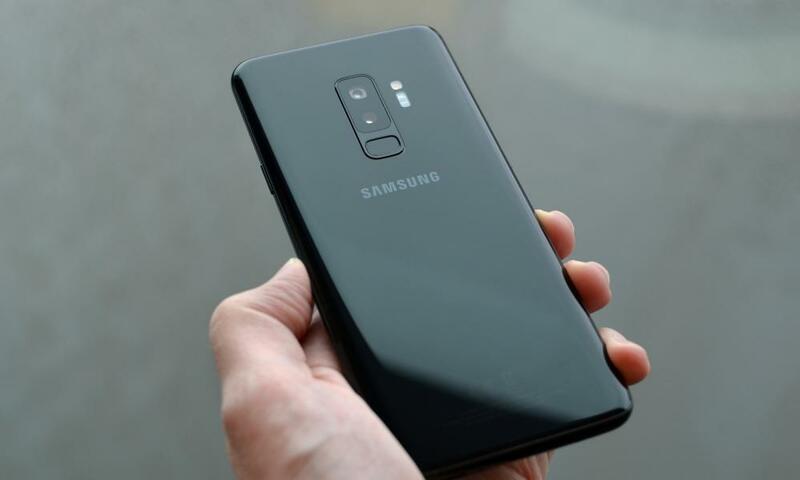 It’s got the same curved glass design, metal sides and lump-less camera on the back, and while it is 1.4mm shorter, 0.4mm wider and 0.4mm thicker than the S8+, you’ll need a ruler to notice. The bezels at the top, which contain the iris scanner, front-facing camera and various sensors, are slightly smaller. Samsung didn’t adopt the “notch” that Apple used for the iPhone X and many others are expected to use this year, and I think that’s a good thing. The large 6.2in OLED screen is absolutely gorgeous, pixel-perfect with deep blacks and rich colours, and it’s squeezed into a frame that’s surprisingly easy to hold, particularly compared to devices such as Google’s Pixel 2XL, which is 3.3mm wider. Oh, and it’s still got a headphones socket. 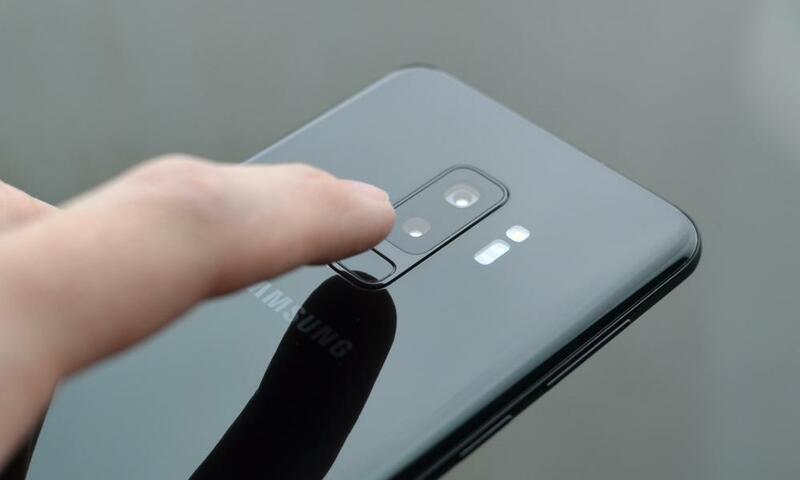 The S9+ is still quite big in your pocket, but one important change over last year’s model is the position of the fingerprint scanner on the back. Blaced below the rear cameras instead of alongside them means it’s so much easier to reach. It’s accurate, fast and a massive improvement. Over the years we’ve come to expect excellent performance from Samsung’s top-of-the-line phones and the S9+ is no exception. It flies along as a result, keeping pace with most of the best of the rest, although it’s not quite as snappy as Google’s Pixel 2XL, which comes down to software optimisation. The S9+ will be able to do everything you want in a top-end phone, including high-performance gaming and multiple apps on one screen, but there’s one area of weakness compared to recent competitors – and that’s battery life. The Galaxy S9+ doesn’t have bad battery life, it will still get through a day. But when top-end phones such as Huawei’s Mate 10 Pro can do two days per charge, and Apple’s iPhone X will last just under 30 wakati, the Galaxy S9+’s 26 hours between charges isn’t as good as it should be. Last year’s S8+ managed 30 wakati laarin awọn owo. That was while using the S9+ as my primary device with the screen set to QHD+ and the always-on display active, browsing and using apps for five hours with a hundred or so push messages, watching 60 minutes of Netflix, and listening to around five hours of music via Bluetooth headphones. Setting the screen to FHD+ added around two hours longevity, but you could see the display wasn’t as crisp. Turning off the always-on display made little difference. It’s worth noting that the battery life got better the longer I used the phone, as Samsung’s device maintenance feature suppresses apps that haven’t been launched in a while but are still consuming power in the background. The Galaxy S9+ is one of the first Samsung devices to run Android 8 Oreo, but on the whole not a lot has changed since the Galaxy S8+. The Samsung Android experience is fairly consistent between models, but it performs smoother on the S9+ than on any phone before it. 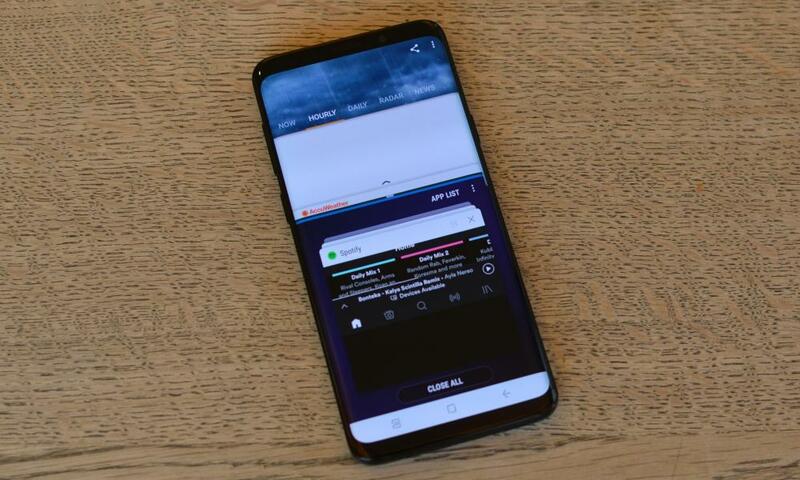 There are small additions, such as the ability to have the home screen rotate to landscape, Oreo’s new notification system including number markers on program icons, and the ability to duplicate messaging apps so you can have two versions of apps such as WhatsApp installed at once. One of the most obvious additions is Samsung’s new AR Emoji. They operate like Apple’s Animoji, but use virtual avatars that are meant to look like you. Mine doesn’t look much like me, but it picks up expressions, and eye and mouth movements, very well, so you can send a bespoke image. It also generates a series of gifs with your virtual self performing various actions that you can send to people like any other gif. When I did, the recipients told me to stop almost immediately, so I suspect some might like them more than others. The Galaxy S9+ has facial recognition, an iris scanner and a fingerprint scanner, giving you multiple modes to unlock the device. New for this year is “intelligent scan”, which combines facial recognition and iris scanning into one mode. It’s certainly fast and works well most of the time, but there are questions over its level of security, with warnings appearing when you set it up. Samsung’s facial recognition certainly isn’t as secure as Apple’s on the iPhone X, but whether that matters to you depends on how you balance security with convenience. The fingerprint scanner on the back is great, and makes a huge difference to the usability of the device. 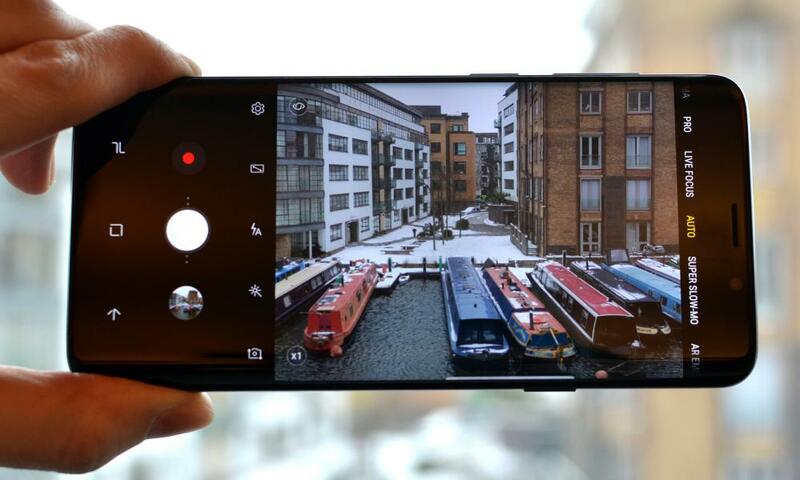 The camera is all new for the Galaxy S9+. There’s a 12-megapixel dual camera on the back, that has one wide-angle camera and one telephoto camera, both with optical image stabilisation similar to the Note 8. But the wide-angle camera can also vary its aperture, flipping between an f-stop of 1.5 ati 2.4. The idea is that the faster f/1.5 lets in more light for better low-light photography and extremely shallow depth of field, while the f/2.4 is better for shooting in good lighting. This can either be left to the camera to automatically decide or be controlled manually in “pro” mode. All combined, the rear camera system on the S9+ is one of the best available, producing well coloured, well detailed photos in most lighting conditions. Its low-light performance is impressive, while the telephoto camera occasionally comes in handy. It is a significant improvement from Samsung that catches up with the competition rather than blow them out of the water. New for this year is super slow motion of up to 960 frames per second, which is four times the speed of regular 240fps slow motion. The faster the capture the greater the effect when played at normal speed, making 0.2 seconds of action turn into six seconds of video. It’s a lot of fun to use and Samsung has built-in systems to make it easier to capture what you’re after. You can manually trigger the super slow-mo multiple times while recording video, and then produce one long clip or just export the bits you want as videos or gifs. But the camera app also has a motion-detection option, which allows you to define an area in which any movement will trigger the super slow-motion capture. It works very well, taking the guess work out of when to hit the button. The eight-megapixel selfie camera is still one of the best, preserving detail and doing fairly well in dim lighting. The Samsung Galaxy S9+ costs £869 with 128GB of storage in purple, blue or black. fun lafiwe, the 6.3in Samsung Galaxy Note 8 with 64GB of storage costs £869, the 6in Google Pixel 2 XL with 64GB costs £799, the 6in Huawei Mate 10 Pro with 128GB costs £699, awọn 6in OnePlus 5T with 64GB costs £449, the 6in ọlá 10 View with 128GB costs £450, and the 5.8in iPhone X with 64GB costs £999. Samsung could certainly be accused of simply recycling last year’s design, but it was really great in 2017 and is just as great in 2018, so it gets away with it – for now. The battery life is slightly disappointing, but still long enough to get through a day. The camera is great, the screen fantastic and the fit and finish is brilliant. It is feature-packed and still the phone to go for if you want a massive screen in as manageable a body as possible. Given the bar has been raised by how expensive top-end smartphones can be, the S9+ is actually not that expensive for what it is, either, which is not something I thought I’d say about a phone costing £869. Mimu kofi Ṣe Din ara Ewu! Ọgọta okú tabi sonu ni Canada reluwe ibi. Parrot Asteroid Smart Review: Android Ni rẹ Car ká Dash? Kika iboju ki o 5G: ohun ti n bọ ni fonutologbolori ni 2019? Eyi ti Apple MacBook laptop yẹ ki Mo ra?